Burnin Rubber 5 HD is a Racing and Action game for PC published by Xform in 2018. Are you ready to enter the deadly races? 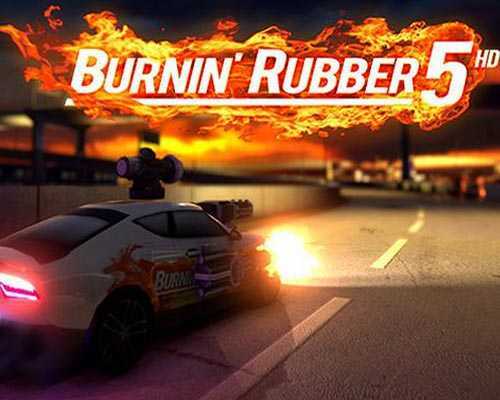 This is a remastered version of Burnin Rubber 5 that you can experience it with higher graphics. Its gameplay has got improved too. Burnin Rubber 5 HD is the version as it was intended to be! Battle over 30 challenges against the toughest opponents ever. Unlock new cars, buy new weapons and upgrades. It’s a massive 3D action arcade racing game, completely remastered. Jam-packed with all of the destructive goodness that made the previous games such a huge success! The Burnin Rubber games have been online since 2007 with over hundreds of millions of plays. At Xform we greatly enjoy developing new entries. Iterating upon the previous one and trying to get even more action and explosions in the new one. Since the games were originally developed for online play we always had to cut and tone down our content. Also, browsers are now phasing out the plugins that are required to play our awesome games! The released version was never the same as our ‘development’ version, but NOT for much longer. We would like to introduce you to the full HD remaster of Burnin Rubber 5! When you’ve finished playing all the races there are still the daily challenges that can unlock even more cars! They also provide a good opportunity to experiment with all the different cars (there are a lot) with different configurations. Get a car with all lasers equipped or all shotguns. 3 Challenge modes; battle with a team of 4 of your vehicles against another team! 50+ vehicles. Including, but not limited to; sportscars, trucks, classics and a horse! 20 Primary and secondary weapons. Including miniguns, railgun, homing missiles and fuel-air RPGs. 6 Special weapons; Flak cannon, predator missile and redeemer etc.! Shoot and destroy! 2 Comments ON " Burnin Rubber 5 HD Free Download "
O.M.G BURNING RUBBER 5 wow im impress of you ali 🙂 LOVE IT!